A call for fireworks to be banned for all but four days of the year, to save pets from stress and fear, is to be debated by MPs. A petition backed by 100,000 animal lovers presses for firework parties to be limited to Bonfire Night, New Year's Eve, Diwali and the Chinese New Year. Animal charity, the RSPCA, supports the call for a restriction, saying animals are often scared and can even run away. The government said it has no plans to extend existing restrictions. Nearly half (45%) of all dogs are scared by fireworks, says the RSPCA, while screeching rockets and flashing lights can startle farm animals. Last year, the RSPCA received 386 calls from pet owners worried about fireworks. Claire Ewers, who owns dogs Jess and Roxie, said: "When fireworks are not set off on normal dates, it is impossible to plan ahead - which means I could be at work worrying that my girls are home alone and scared, which is heart breaking. "They will often be sick, and mess themselves too. "You just never know when fireworks will go off - especially during fireworks season - which can last from October right through to January. "If it was one week of fireworks, or if they were let off just on normal celebratory nights we could plan ahead and handle it. But not three or four months." Julie Doorne, who started the petition, said it was about getting a balance between fun and the rights of pet owners. "The use of fireworks is getting out of control - while no one would want to stop people having fun or celebrating special dates like New Year's Eve, these celebrations are going on for weeks during autumn and winter," she said. "I have heard examples of pet owners having to put their pets in boarding and even some owners moving house to more rural areas to escape the noise." Under the Fireworks Act 2003 and the Fireworks Regulations 2004, fireworks for home use can only be sold by licensed sellers apart from between 15 October and 10 November, in the run-up to 31 December and the three days before Diwali and Chinese New Year. A curfew prevents their use between 23:00 and 07:00 all year, except on Bonfire Night when it is extended until midnight and 01:00 on New Year's Eve, Chinese New Year and Diwali. There is also a noise level limit of 120 decibels on fireworks for home use. 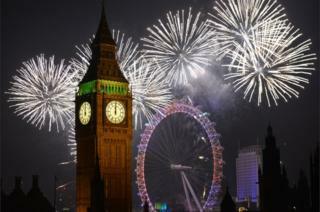 The Department for Business, Innovation and Skills said: "We are aware that fireworks can cause distress to animals. Restrictions on the general public's use of fireworks, and permitted noise levels, already exist and we have no plans to extend them. "Although there is some use of fireworks outside the traditional periods, we believe that the majority of people who use fireworks do so at the appropriate times of year and have a sensible and responsible attitude towards them." MPs are due to debate the petition hosted on the government website on 6 June after it reached 100,000 signatures.